This site is located on a secluded plateau of northeast Turkey overlooking a ravine that forms a natural border with Armenia. This medieval city combines residential, religious and military structures, characteristic of a medieval urbanism built up over the centuries by Christian and then Muslim dynasties. The city flourished in the 10th and 11th centuries CE when it became the capital of the medieval Armenian kingdom of the Bagratides and profited from control of one branch of the Silk Road. Later, under Byzantine, Seljuk and Georgian sovereignty, it maintained its status as an important crossroads for merchant caravans. The Mongol invasion and a devastating earthquake in 1319 marked the beginning of the city’s decline. The site presents a comprehensive overview of the evolution of medieval architecture through examples of almost all the different architectural innovations of the region between the 7th and 13th centuries CE. Le site est situé au nord-est de la Turquie sur un plateau isolé, en surplomb d’un ravin constituant une frontière naturelle avec l’Arménie. Cette cité médiévale associe des structures résidentielles, religieuses et militaires, caractéristiques d’un urbanisme médiéval construit au fil des siècles par les dynasties chrétiennes, puis musulmanes. La ville connaît son apogée aux Xe et XIe siècles de notre ère, lorsqu’elle devient la capitale du royaume médiéval arménien des Bagratides, et tire sa richesse de la maîtrise de l'une des branches de la Route de la soie. Plus tard, sous les souverainetés byzantine, seldjoukide et géorgienne, elle maintient son statut d'important carrefour pour les caravanes marchandes. L’invasion mongole et un séisme destructeur en 1319 marquent le début du déclin de la cité. Le site offre un large panorama du développement architectural médiéval, grâce à la présence de presque tous les types architecturaux qui ont émergé dans la région entre le VIIe et le XIIIe siècle de notre ère. Данный объект расположен на северо-востоке Турции на изолированном плоскогорье с видом на ущелье, образующее естественную границу с Арменией. Этот средневековый город сохраняет жилые, религиозные и военные сооружения, характерные для средневекового градостроительства. На протяжении веков Ани строился христианскими, а затем мусульманскими династиями. Расцвет города пришёлся на X-XI века н.э., когда он стал столицей средневекового Армянского царства Багратидов и разбогател за счёт взимания пошлин на одном из ответвлений Шёлкового пути. Позднее, находясь под суверенитетом византийцев, сельджуков и грузин, город сохранял свой статус важного перекрестка торговых путей. Монгольское вторжение и разрушительное землетрясение 1319 года положили начало упадку города. Ани даёт общее представление о развитии средневековой архитектуры благодаря наличию сооружений практически всех архитектурных стилей, характерных для региона в период с VII по XIII века н.э. Situados al nordeste de Turquía, en una solitaria meseta erguida sobre el valle que delimita la actual frontera natural entre este país y Armenia, los vestigios de la ciudad medieval de Ani comprenden un gran conjunto de viviendas y edificaciones religiosas y castrenses dotadas de una estructura urbanística típica de la Edad Media, que se fue configurando a lo largo de los siglos bajo la soberanía de diferentes dinastías cristianas y musulmanas. La ciudad alcanzó su máximo esplendor entre los siglos X y XI, cuando fue capital del reino armenio de los Bagrátidas y se benefició del control que ejercía sobre uno de los ramales de la Ruta de la Seda. Posteriormente, bajo el sucesivo dominio de los bizantinos, selyúcidas y georgianos, conservó su rango de encrucijada importante del tráfico mercantil de caravanas. La invasión mongola de 1239 y el devastador terremoto de 1319 asolaron la ciudad y precipitaron su decadencia. Ani ofrece un amplio panorama del desarrollo arquitectónico medieval gracias a la presencia de casi todas las innovaciones arquitectónicas que emergieron en la región entre los siglos VII y XIII de nuestra era. Deze site bevindt zich op een afgezonderd plateau in Noordoost-Turkije dat uitkijkt over een ravijn dat een natuurlijke grens vormt met Armenië. Deze middeleeuwse stad werd in de loop van de eeuwen opgebouwd door christelijke en later door moslim-dynastieën. De stad bloeide in de 10e en 11e eeuw n.Chr. toen het de hoofdstad werd van het middeleeuwse Armeense koninkrijk van de Bagratuni en kon profiteren van de controle over een tak van de Zijderoute. Later, onder het bewind van de Byzantijnen, Seltsjoeken en Georgiërs bleef het de status houden van een belangrijk kruispunt voor handelskaravanen. De invasie van de Mongolen en een verwoestende aardbeving in 1319 markeerden het begin van het verval van de stad. De site toont een breed overzicht van de evolutie van middeleeuwse architectuur: van bijna alle verschillende architectonische innovaties in de regio tussen de 7e en 13e eeuw bevat de site voorbeelden. Ani is located in the northeast of Turkey, 42 km from the city of Kars, on a secluded triangular plateau overlooking a ravine that forms the natural border with Armenia. The continuity of settlement at Ani for almost 2500 years was thanks to its geographical location, on an easily defensible plateau that was surrounded by fertile river valleys at an important gate of the Silk Roads into Anatolia. This medieval city that was once one of the cultural and commercial centres on the Silk Roads, is characterized by architecture that combines a variety of domestic, religious and military structures, creating a panorama of medieval urbanism built up over the centuries by successive Christian and Muslim dynasties. Inhabited since the Bronze Age, Ani flourished in the 10th and 11th centuries AD, when it became a capital of the medieval Armenian kingdom of the Bagratids, and profited from control over one branch of the Silk Roads. Later, under Byzantine, Seljuk, and Georgian sovereignty, it maintained its status as an important crossroads for merchant caravans, controlling trade routes between Byzantium, Persia, Syria and Central Asia. The Mongol invasion, along with a devastating earthquake in 1319 and a change in trade routes, marked the beginning of the city’s decline. It was all but abandoned by the 18th century. The principal area of the property consists of architectural remains located in three zones: the citadel, which includes the ruins of the Kamsaragan palace, Palace church, Midjnaberd church, Sushan Pahlavuni church, the Karamadin church and the church with Six Apses; the outer citadel or walled city which includes amongst others the Fire Temple, Cathedral, Ramparts of Smbat II, Emir Ebu’l Muammeran Complex, Seljuk Palace, domestic architecture, the market, and the Silk Road Bridge; and the area outside the city walls. Rock-carved structures on the slopes of one of the valleys surrounding the city, the Bostanlar Creek, are also part of the property. Religious monuments of Zoroastrian, Christian and Muslim influence, as well as public and domestic buildings in Ani provide a vivid and comprehensive picture of a distinctive relic medieval city which attests to the transmission and amalgamation of different architectural traditions that evolved in the Caucasus, Iran, Turkestan and Khorasan, and were translated into stone. This medieval settlement consists of remains from a multi-cultural centre, with all the richness and diversity of Medieval Armenian, Byzantine, Seljuk and Georgian urbanism, architecture, and art development. Criterion (ii): Ani was a meeting place for Armenian, Georgian and diverse Islamic cultural traditions that were reflected in the architectural design, material and decorative details of the monuments. New styles, which emerged as a result of cross-cultural interactions, have turned into a new architectural language peculiar to Ani. The creation of this new language expressed in the design, craftsmanship and decoration of Ani has also been influential in the wider region of Anatolia and Caucasia. Criterion (iii): Ani bears exceptional testimony to Armenian cultural, artistic, architectural and urban design development and it is an extraordinary representation of Armenian religious architecture known as the “Ani school”, reflecting its techniques, style and material characteristics. Criterion (iv): With its military, religious and civil buildings, Ani offers a wide panorama of medieval architectural development thanks to the presence at the site of almost all the architectural types that emerged in the region in the course of the six centuries from 7th to 13th centuries AD. It is also considered a rare settlement where nearly all of the plan types developed in Armenian Church architecture between the 4th and 8th centuries AD can be seen together. The urban enclosure of Ani is also an important example of a medieval architectural ensemble with its monumentality, design and quality, as well as the tunnels and caves beneath Ani plateau, which connect to the surrounding volcanic tufa setting of deep river valleys. All the elements that constitute the basic values of Ani are located within the boundaries of the property. Although the majority of structures having monumental characteristics are still standing on site, there is not a single monument that is not facing serious structural problems of stability, either missing parts of the fabric, due to seismic action or human destruction, or problems of unsuccessful interventions. The visual integrity of the landscape is affected by the quarrying activities on the east side of Arpaçay Creek and the inappropriate use of pasture areas of the rock-cut caves in Bostanlar Creek and Arpaçay Creek. The State Party is currently addressing the highly vulnerable state of conservation of key attributes of the property through the implementation of a comprehensive conservation strategy and action plan. The remoteness of the uninhabited city of Ani, with its impressively standing monumental buildings, over an invisible landscape of underground tunnels and caves surrounded by deep river valleys, provides a mostly unaltered window onto the past. The property has also not undergone any modern development. Nevertheless, earthquakes, the harsh climate and human destruction have affected the overall authenticity of the property. The level of authenticity of material, substance, and workmanship has been affected by large amounts of new fabric introduced in a number of restoration projects, causing loss to the original building fabric. On-going conservation practices have focused largely on addressing the effects of deterioration processes on the property with a stronger emphasis placed on carrying out interventions that maintain the qualities of the original materials and techniques as well as on removing the earlier improper interventions in a number of monuments. The archaeological site of Ani has been registered on the national inventory since 1988 as a 1st Degree Archaeological Conservation Site that is surrounded by a 3rd Degree Archaeological Conservation Site, with continual enlargements in site boundaries. These registrations put the property under the protection of Turkey’s National Law No. 2863 for the Protection of Cultural and Natural Properties that requires approval by Kars Regional Council for the Protection of Cultural Assets of all plans and projects to be implemented in registered sites. The Ministry of Culture and Tourism, which is the main responsible government body for conservation and management of the site, is organized at both central and local levels. 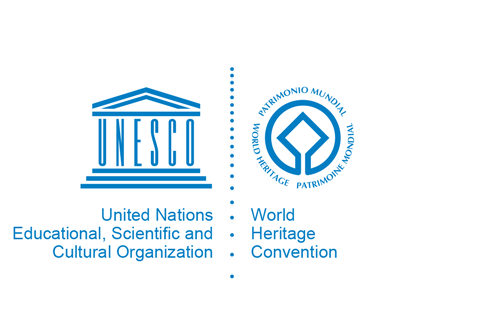 The General Directorate of Cultural Heritage and Museums centrally regulates the activities of its local branches, and fulfils certain tasks regarding monument restoration and World Heritage issues. Local branches that are relevant in this case are the Kars Regional Council for Conservation of Cultural Heritage, Erzurum Directorate of Surveying and Monuments, and the Directorate of Kars Museum. Measures taken in recent years by the State Party have greatly protected the most important monuments of the property. A Conservation Oriented Development Plan for the two registered sites was approved in 2011, through a process based on scientific principals and participation of stakeholders at different levels. A Strategic Conservation Master Plan, prepared by the Ministry with scientific support from experts, was approved by the Ministry on 3 February 2016. It lists the provisions of all legal conservation documents related to the site, and includes an updated SWOT analysis as well as interrelated policies and principles that are reviewed in reference to the Management Plan. The Strategic Conservation Master Plan should be revised in order to present a more comprehensive needs assessment for each listed monument, as well as the required interventions and priority areas, as the basis for conservation and monitoring of the property. The Management Plan for the property was approved on 30 March 2015. Priorities set for the period 2015-2020 in the two plans include emergency measures against seismic and environmental risks to ensure the intact survival of monumental buildings, context excavations and research to reveal their urban setting, improvement of visitor and research facilities at the site, enhancement of Ocaklı Village through better integration with the property, and educational programmes towards these ends. A Heritage Impact Assessment approach should be integrated into the management system, so as to ensure that any project regarding the property be assessed in relation to its impacts on the attributes that convey the Outstanding Universal Value of the property.